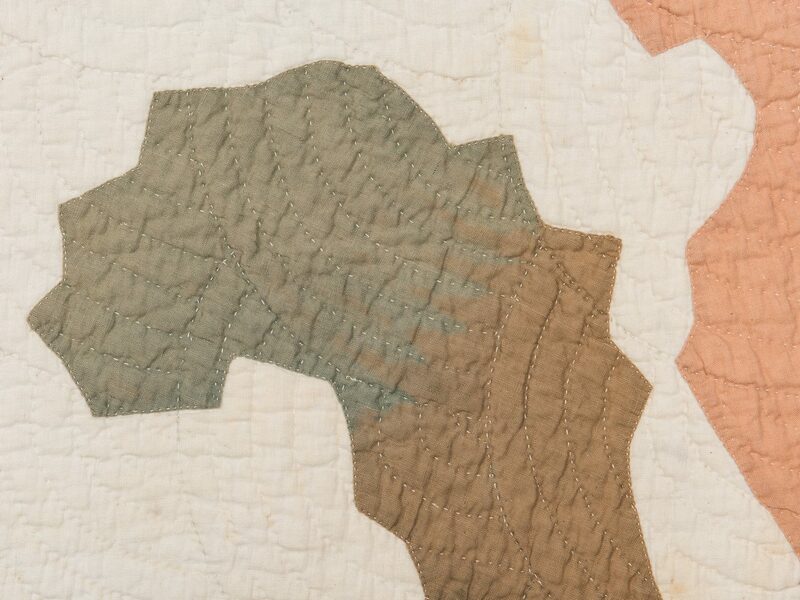 Two (2) Southern, possibly East Tennessee quilts. 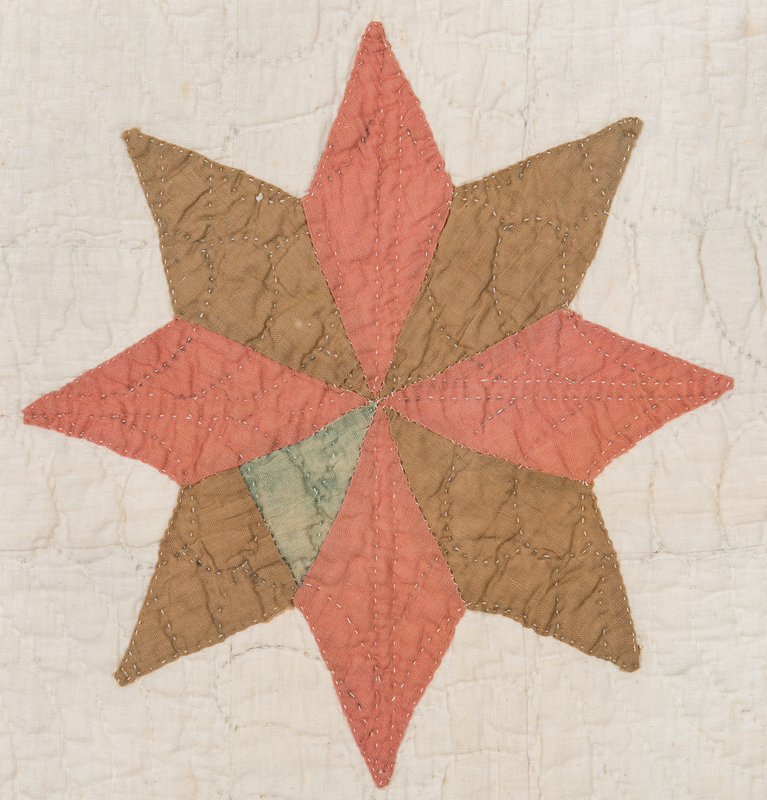 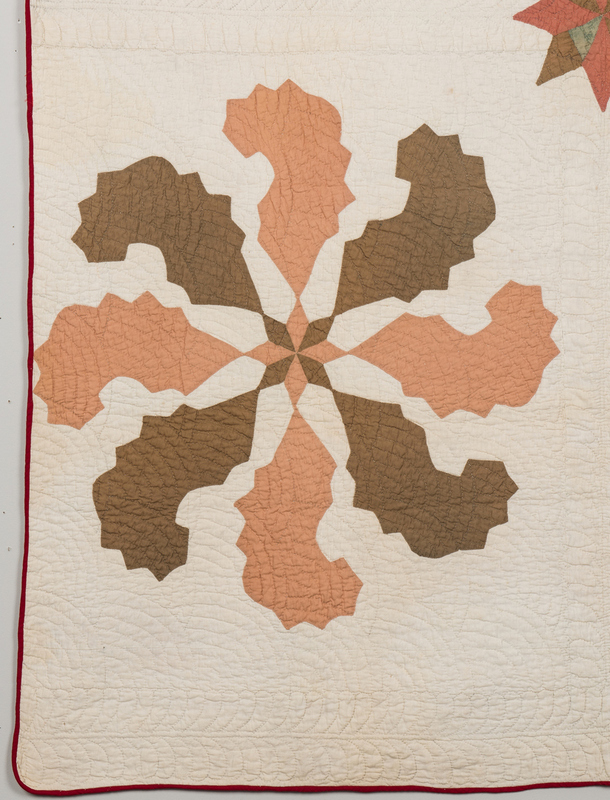 1st item: Pieced and appliqued cotton quilt, mariner's compass variant, cream ground with green and coral appliqued cotton designs, small center star, four stylized eight-pointed stars. 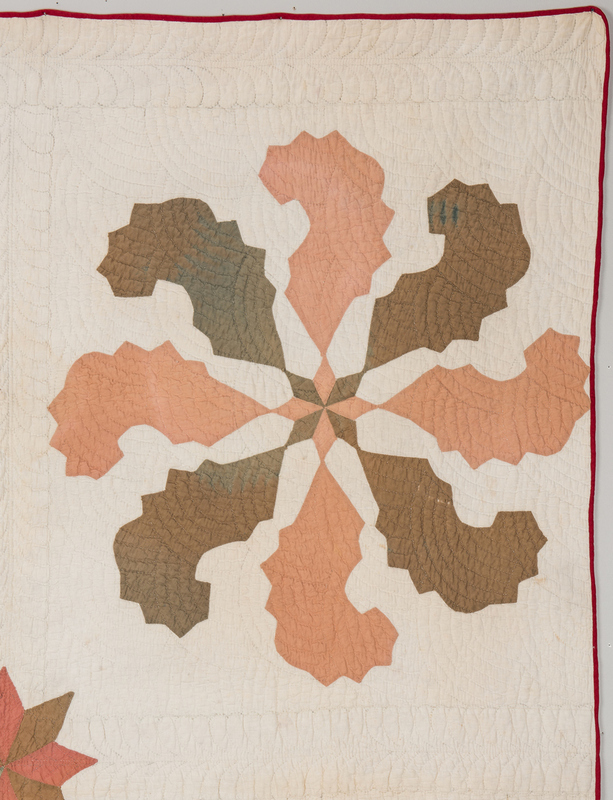 Red border, possibly newer. 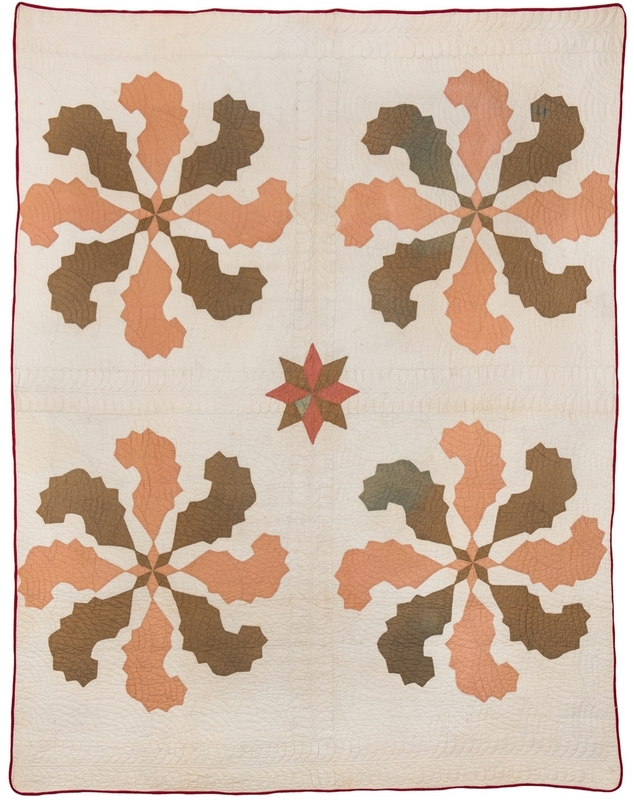 60" x 74". 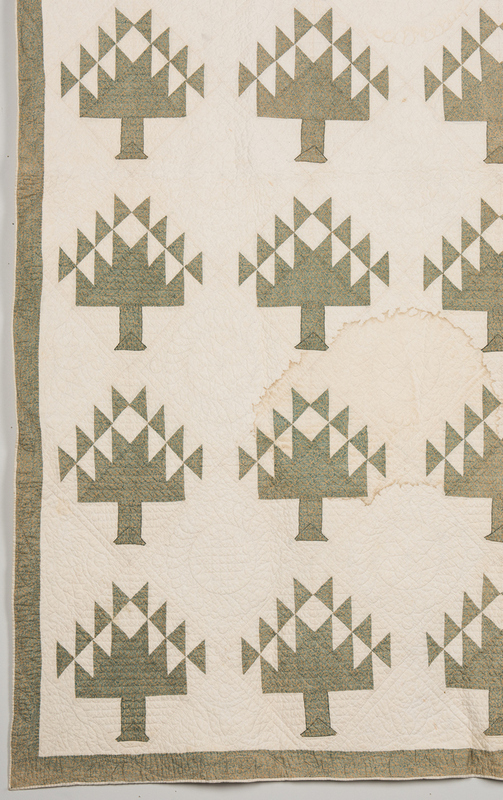 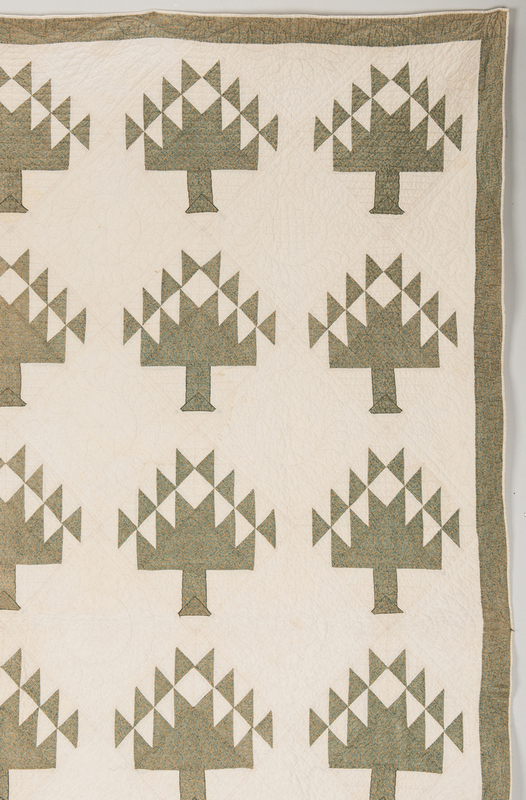 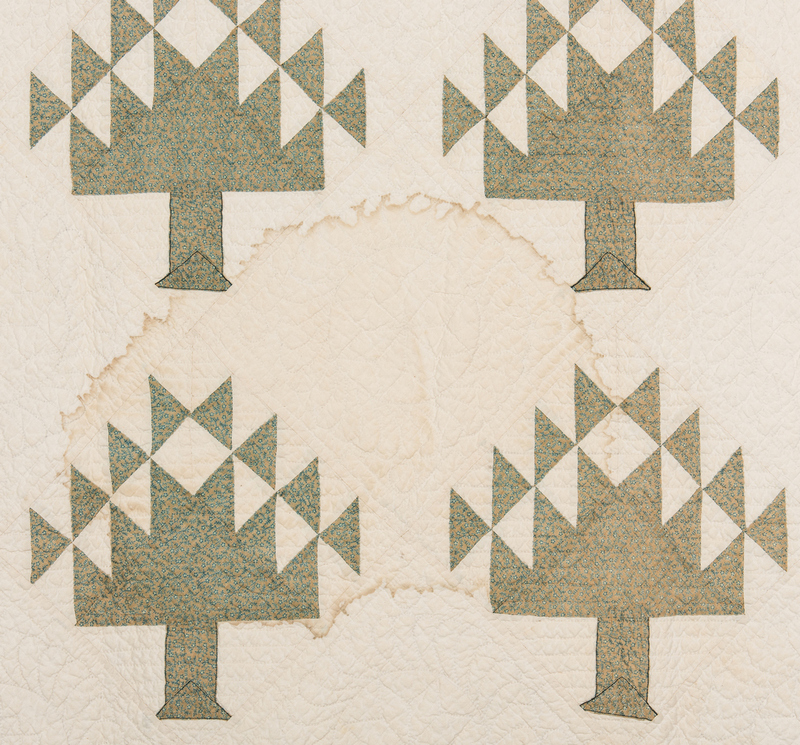 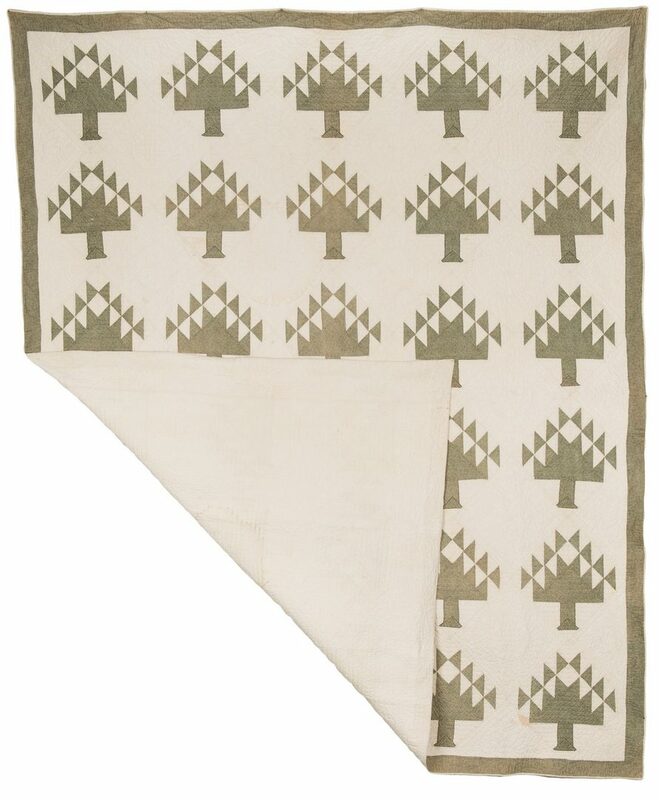 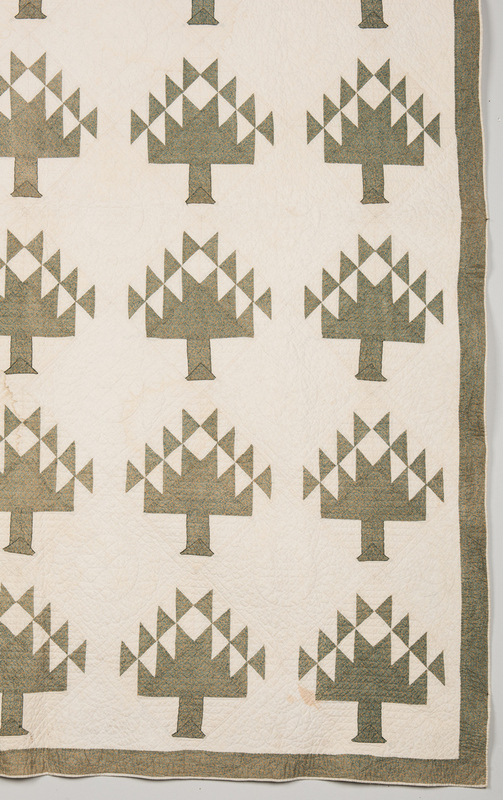 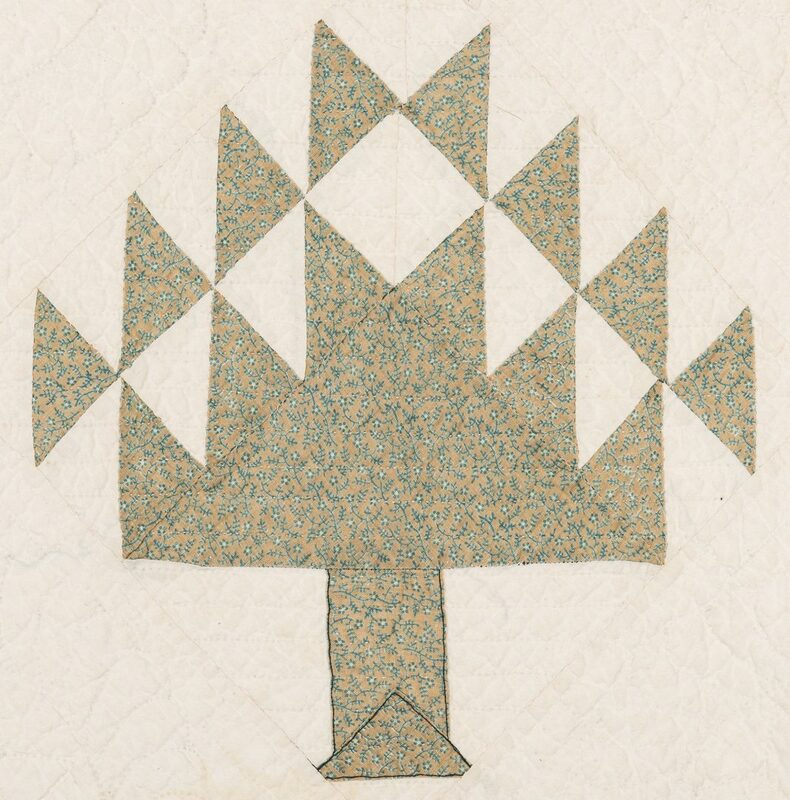 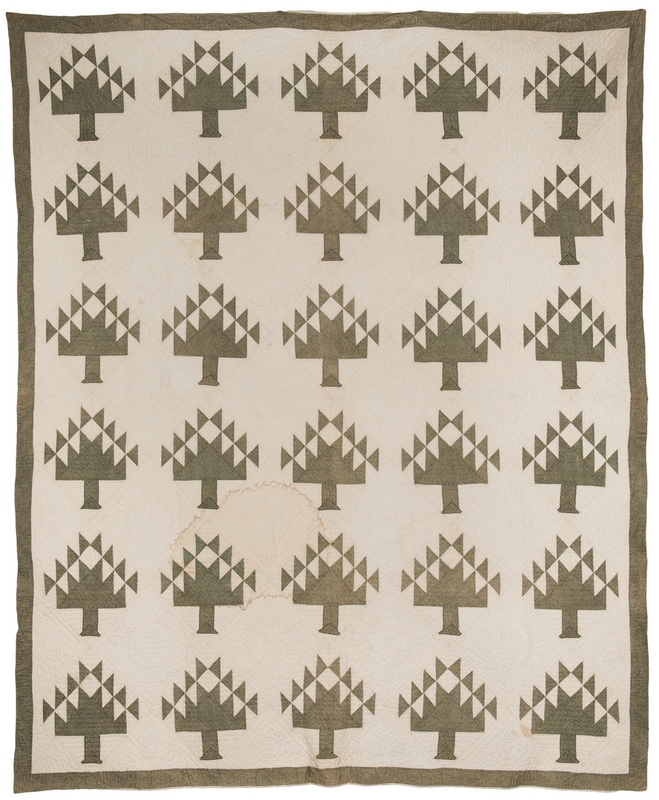 2nd item: Pieced and appliqued cotton quilt, tree of life variant with 30 appliqued calico floral green and blue cotton fabric trees on cream ground, feathered wreath stitching, two-inch matching calico border, 74" x 89". 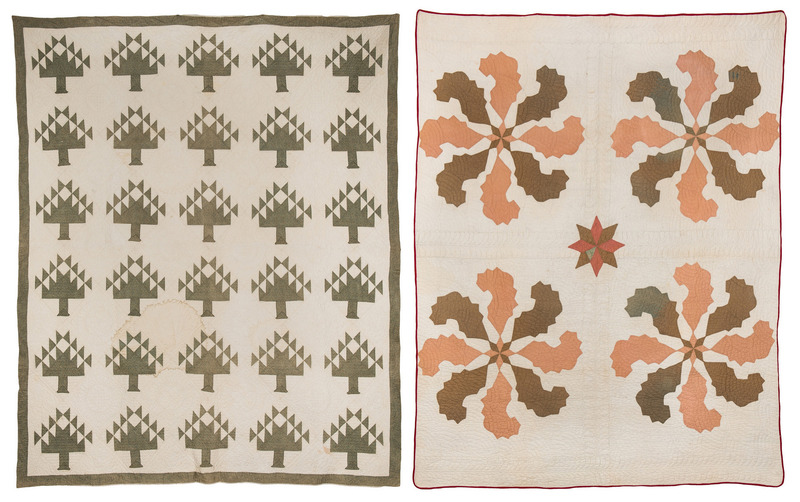 Both quilts late 19th century. 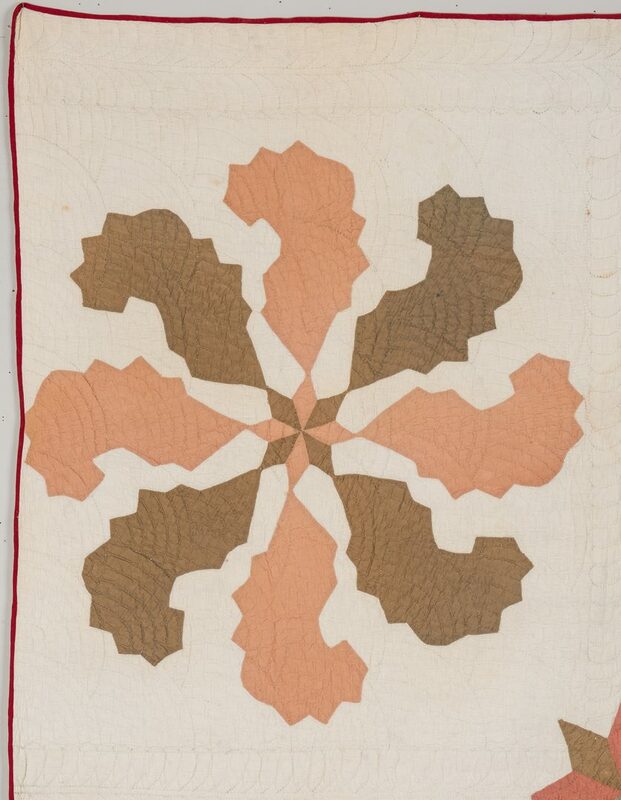 CONDITION: 1st item: Red border likely newer. 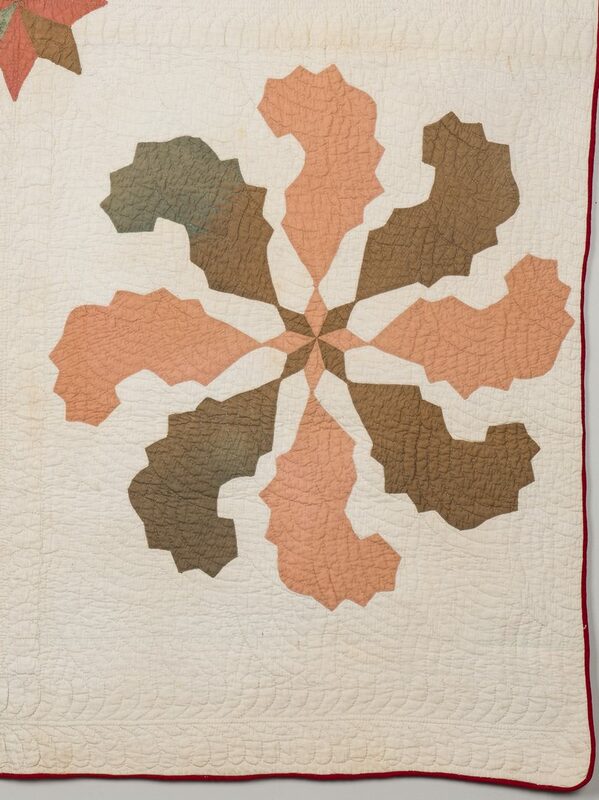 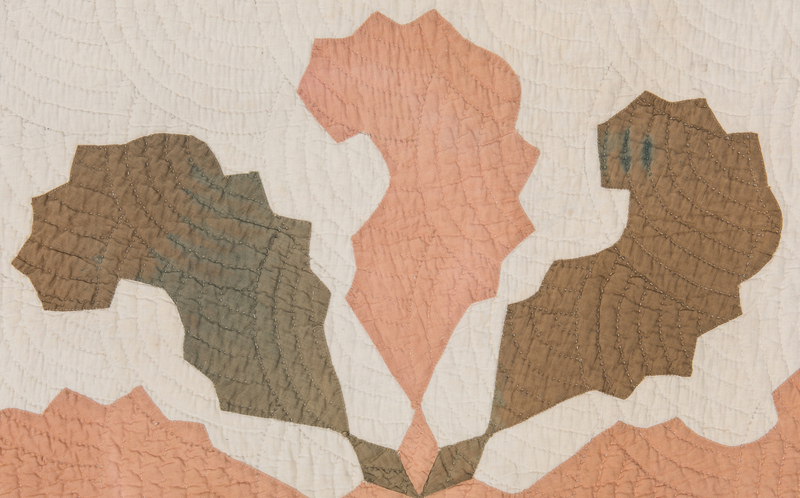 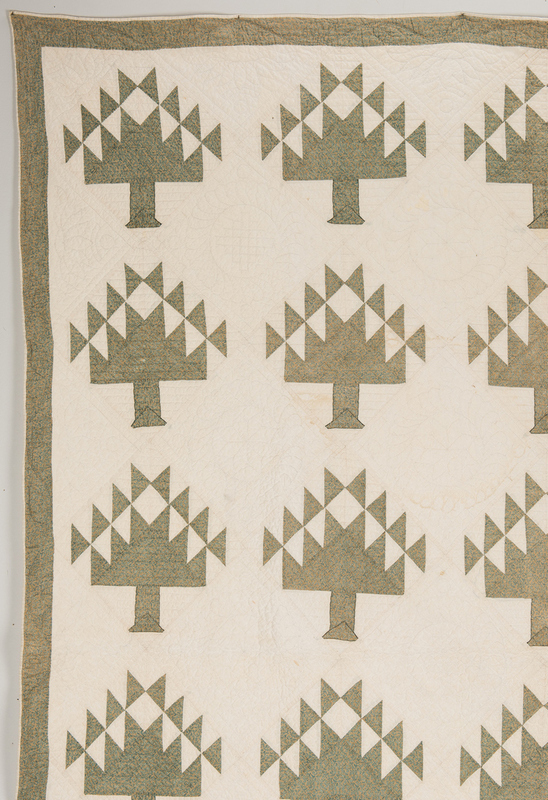 Some discoloration and fading to appliques. 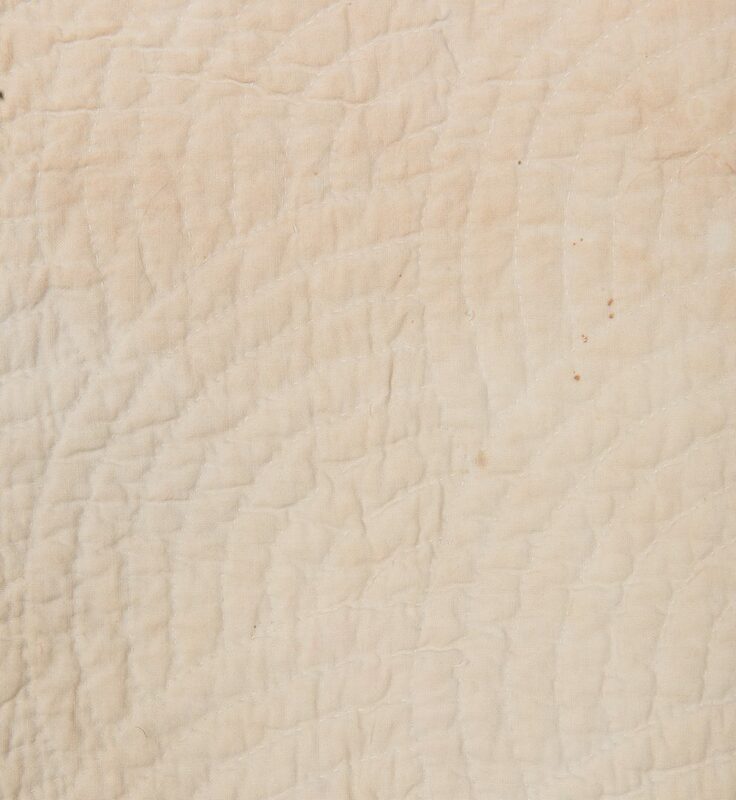 Stains and toning to back. 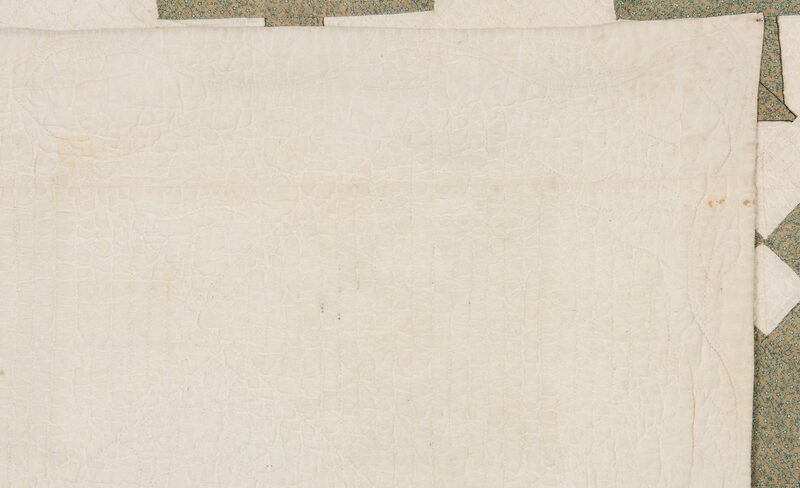 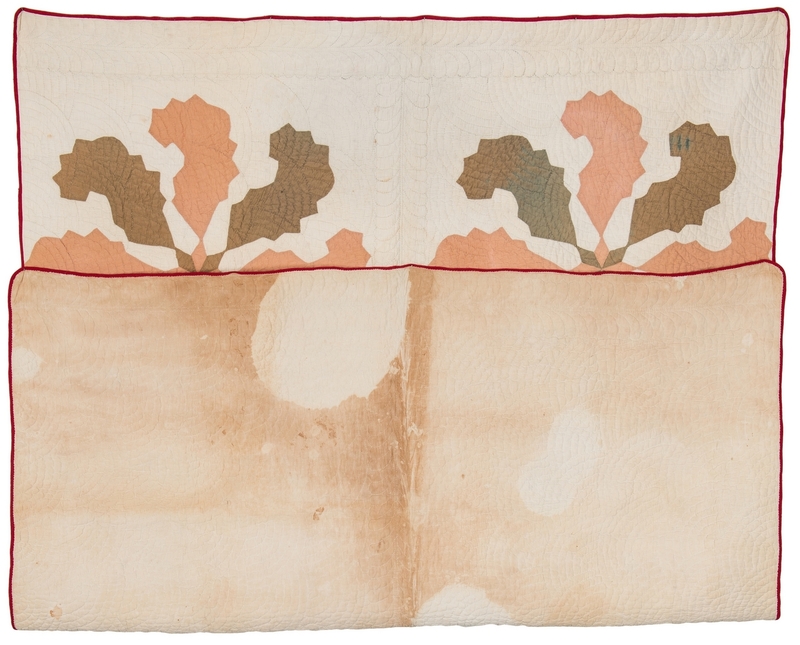 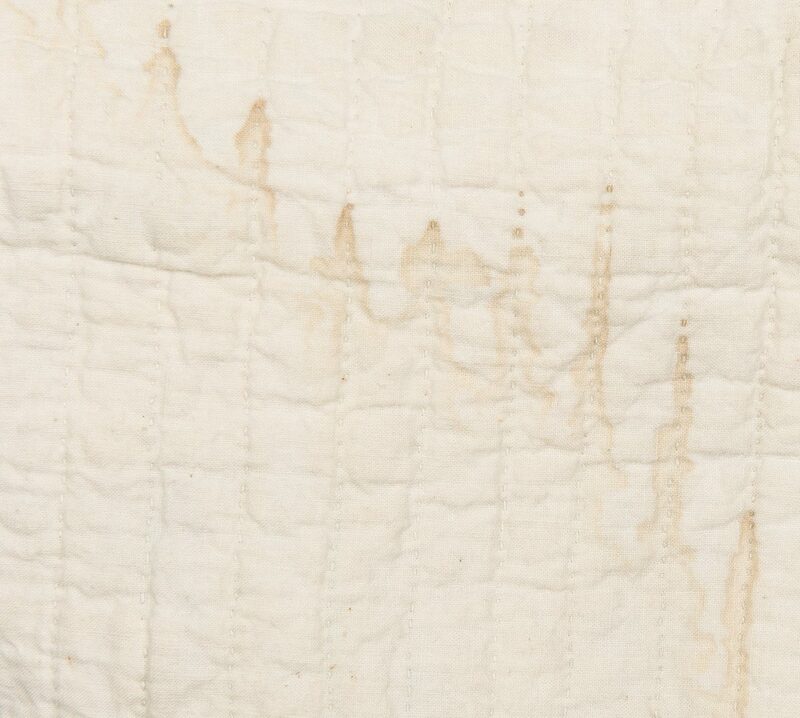 2nd item: Two stains lower front, largest: 18 1/2" x 15". Some fading, mainly at center and edges.